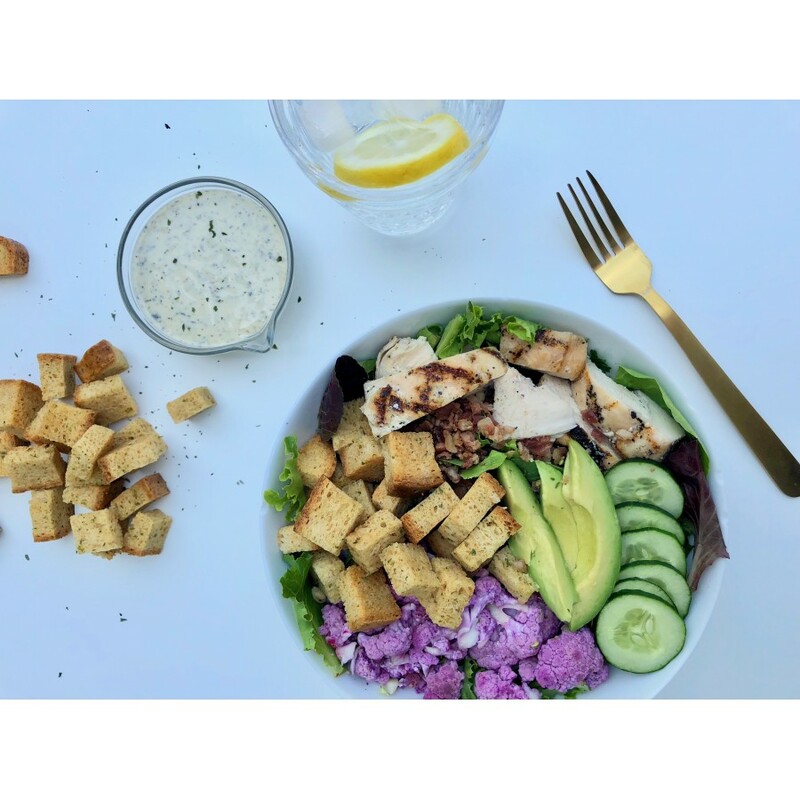 Fresh baked, low carb seasoned croutons are made from our popular low carb white bread! 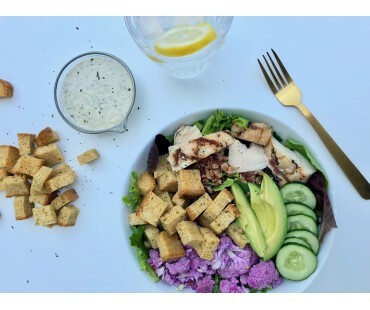 Just .3 net carb per ¼ cup serving size of approximately 7 croutons. 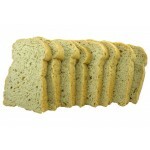 Amazing taste with parsley flakes, and garlic powder seasoning and a perfect texture with no preparation. 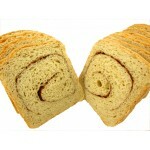 Crispy and tasty- the perfect accompaniment to your salad or soup. 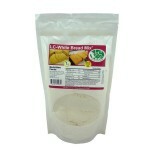 So delicious, you might just eat them right out of the bag as a low carb snack! 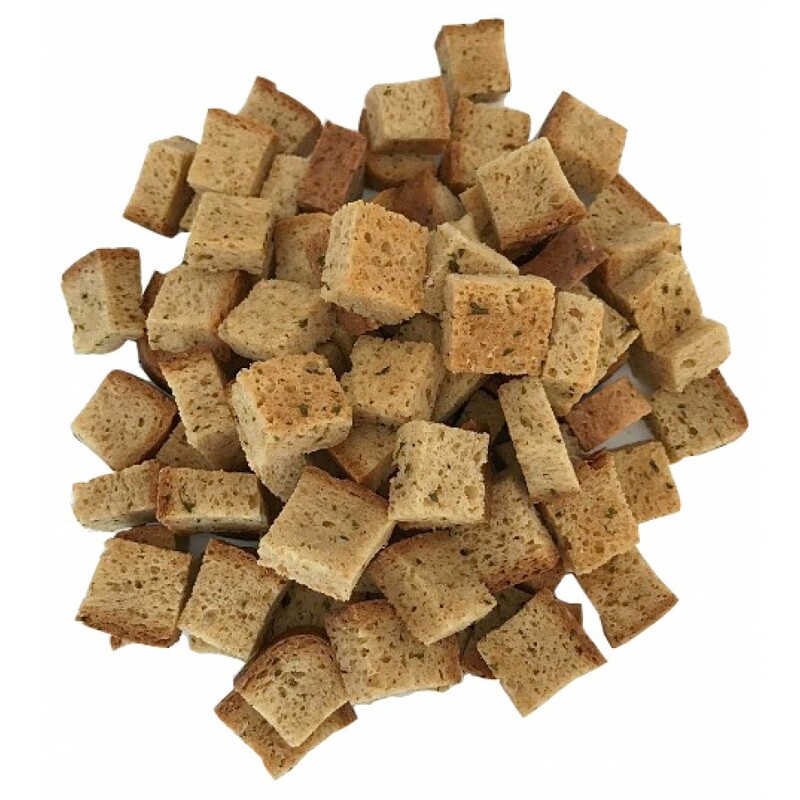 These 1" x 1" large cut croutons are simply tossed with coconut oil, parsley, garlic powder and salt, then toasted to perfection. 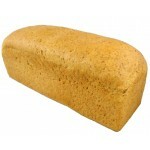 Delicious taste, all natural ingredients- no added junk. 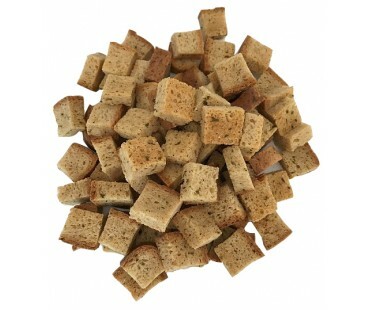 These fresh baked seasoned croutons are delivered to you fresh from our ovens. Fresh baked, never frozen. Finally - home delivered fresh baked low carb seasoned croutons! 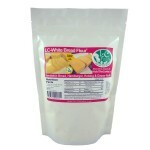 As with all LC Foods low carb products, there's no sugar added (of course!). 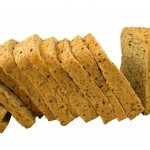 I love these croutons. 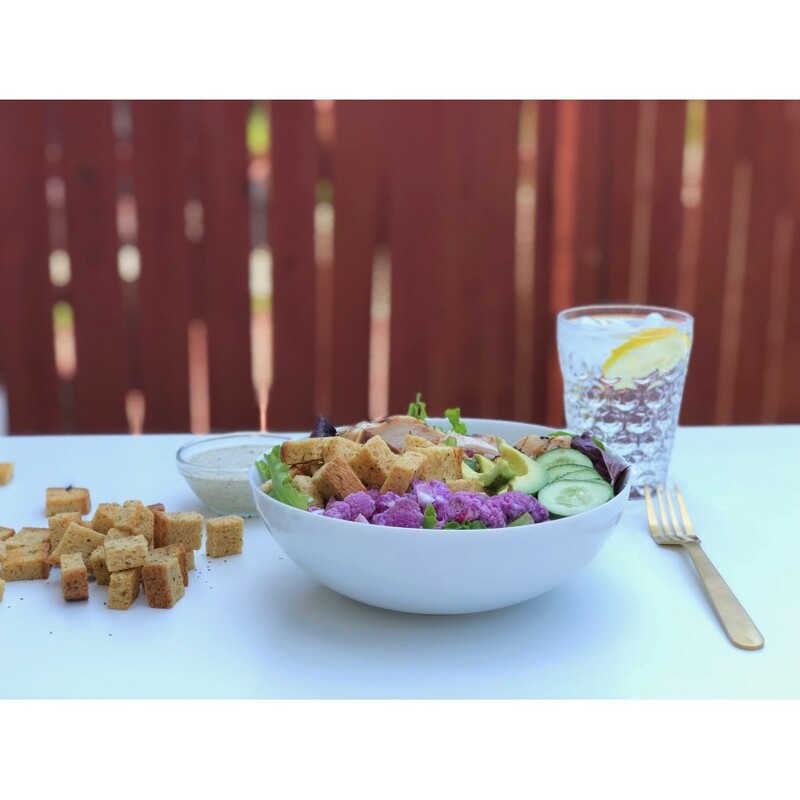 I have always been a crouton junkie , I am not sure why but I love them on my salads. 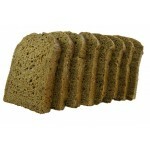 This is a great replacement, I can't even tell they are low carb. Love them!